Posted on November 7, 2017 by Nick France / This entry was posted in Featured Artists, Music and tagged Featured Artist, Kyle Sinkule. Bookmark the permalink. 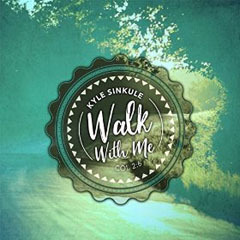 Welcome Kyle Sinkule to the addition of our featured artists. Kyle’s been featured on iCatholicMusic and the Catholic Playlist Show. Getting his start in Central Texas, Kyle found his talent in singing and playing guitar at small local churches. Soon after, he discovered his voice when he started writing songs. Influenced by Johnny Cash, Willie Nelson, and Ryan Adams, Sinkule’s songs are easily identified by their storyteller qualities. Kyle flew to Nashville in the summer of 2014 to be mentored by professionals in the Contemporary Christian Music business. After returning from Nashville, he started writing for his first EP, Walk With Me. Kyle had the opportunity to open the Rise Up Rally in 2015 which included artists Chris August, The Afters, and Sidewalk Prophets. Soon after he recorded and released “Promised Land” in the Spring of 2015 which reached #1 on Amazon’s Singer-Songwriters chart. Kyle was invited back to Tennessee in the Spring of 2016 for Kingdom Songs songwriters retreat, hosted by James Tealy and Michael Farren. 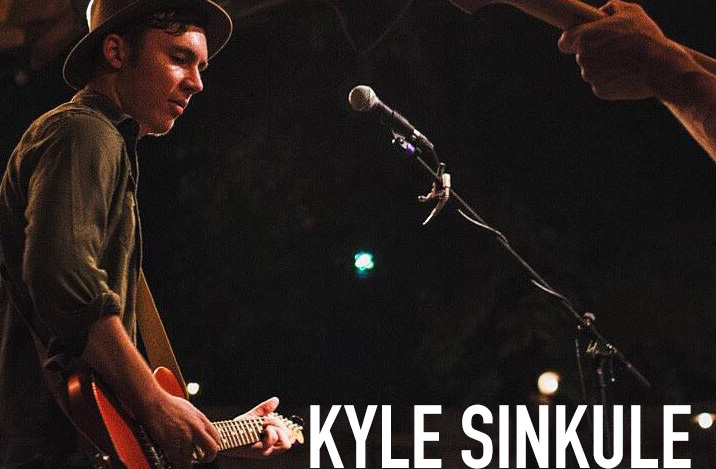 If you’re a fan of sunsets, roadtrips, and rock n roll, you might have heard of Kyle Sinkule. Almost two years after releasing his debut EP Walk With Me, Sinkule has started to break ground in today’s music world. From small churches and bars to big festival stages, Kyle is singing his way into the lives of people all over the U.S. Walk With Me showcases Kyle’s style which is a unique blend of folk, rock, and country. His song lyrics are inspired by Old Testament Bible stories and the writings of Paul as portrayed in the song we’re featuring, “Saul.” Produced by Chris Clayton, Walk With Me was released May 14, 2016. A blend of folk, rock, and country, Kyle’s unique sound has helped him share stages with artists from many different genres. From opening for Chris August and The Afters to playing at local rodeos, his live show is not one to miss.